Why Can’t Add MP4 to iTunes? As known to all, iTunes can play MPEG-4 movies (files that end in .mov, .m4v and .mp4), in other words, MP4 is a video container which can hold different video and audio codec, if your MP4 files are encoded with MPEG-1, MPEG-2, H.264/MPEG-4 AVC, H.265/HEVC, VC-1/WMV, etc which are all not compatible with iTunes, the ending is not happy, you can’t add these MP4 to iTunes smoothly. Another reason is that MP4 video parameters are strict in iTunes, your MO4 video codec not only is the MPEG-4, also MP4 video is encoded as 540 kbit/s (minimum) MPEG-4 video (H.264) with an approximately 128 kbit/s AAC audio track or encoded as 1.5 Mbit/s (minimum) MPEG-4 video (H.264) with a minimum 128 kbit/s AAC audio track. Face to the strict MP4 video limitation, how to enjoy import or add any MP4 video to iTunes? A MP4 to iTunes Converter can fix this incompatible issue. You can try Pavtube iMedia Converter which is a powerful MP4 to iTunes Converter. The user-friendly interface will attract you, high stability allows you to do batch video conversion, no any advertisements can provide you a silent video conversion environment. 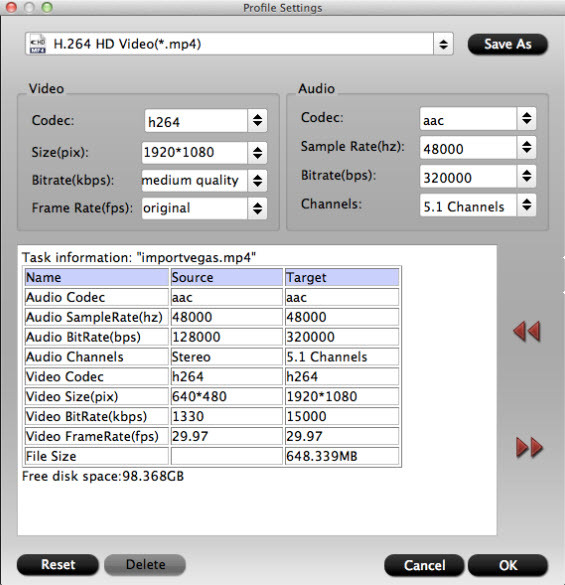 This software can support any MP4 video input. Best of all, this MP4 to iTunes Converter has optimized presets which can help you to set output format both compatible with iTunes and Apple devices including iPad, iPod, iPhone and Apple TV and s on. At the video settiing menu, you can adjust the MP4 video and audio codec to iTunes acceptable video format, in addition, you can change other video parameters, such as: Video resolution, video frame rate, audio channel, etc. More features you can read the following details or this review. Download and install the MP4 to iTunes Converter on your PC. 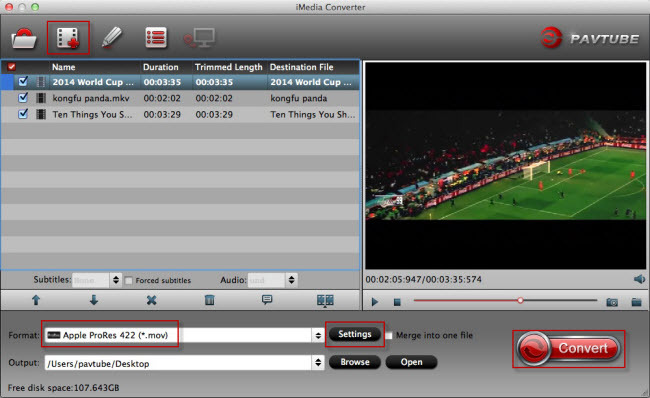 Launch it and click "File" > "Add Video/Audio" to import your MP4 video. Good news, you can add a folder and put all the MP4 video into it, then choose “Load from folder”, you can import multiple MP4 video files and do batch video conversion. Step 2. Choose MP4 to iTunes Supported video format. Option 1: Click “Format”, from its drop-down option, there are many category. Here, you can Choose “H.264 HD Video (*.mp4)” from “HD Video” main category or “Common Video”, which is compatible with iTunes. Also you can choose another iTunes supported MP4 video, such as: "MPEG-4 HD Video (.mp4)" from "HD Video"
Option 2: If you want to add MP4 to iTunes and sync MP4 to other devices, such as: iPad, iPhone, iPad, Apple TV, you can choose the "iPad", "iPhone" or "Apple TV" category, at the down-list, you can choose MP4 format too. For example: Choose "iPad Video H.264 (.mp4)" from "iPad", so nice design. Tips: If you choose the MP4 video from "HD Video" or "Common Video", for safety reason, you can click “Setting” button to adjust the video and audio parameters, for example: You can choose AAC audio codec in Audio Settings, you also can choose the audio channel, such as: stereo. You can adjust the video bitrate, frame, etc. Step 3. Carry MP4 to iTunes Conversion. 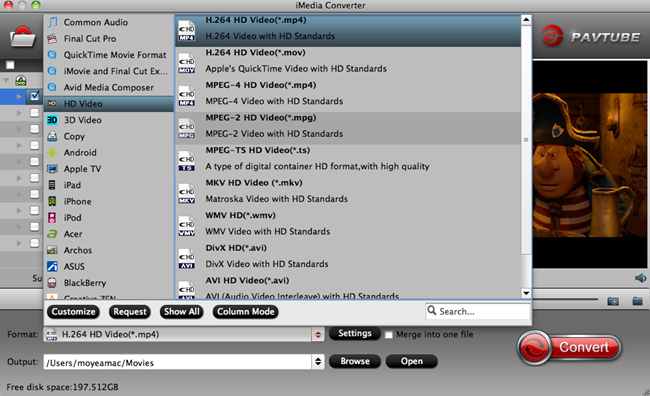 After all setting is completed, hit right-bottom “Convert” button to convert MP4 to iTunes supported MP4 video formats. Just wait for a while, you can get a new converted MP4 file. Then you can add the MP4 to iTunes for video enjoyment. Open iTunes, and then choose "File" > "Add File" to Library to import the converted MP4 files to iTunes. When you add movies to iTunes 12 or 11, your video is in “Home Video” instead of “My movies”. After importing MP4 to iTunes, you can also connect your iOS device to computer for sync or transfer with the help of iTunes. By above introduction, you can add any MP4 files to iTunes library without any trouble. Don’t worry about the video compatibility issue any more. Also you can convert other video to MP4 for iTunes, such as: MKV, etc. Hope this MP4 to iTunes Converter can be your best video assistant. Why can't Add MP4/MPEG to iTunes on Mac?